1956 Jaguar XK140MC Roadster. 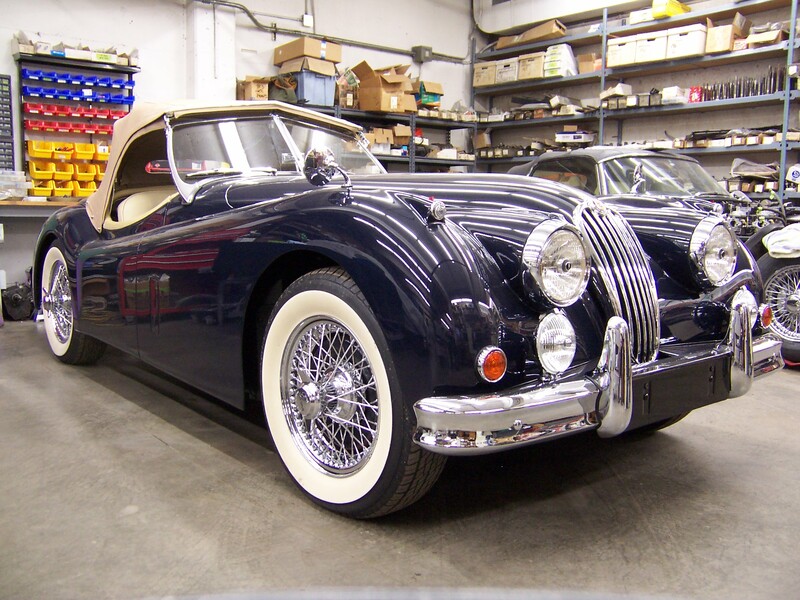 This is an older restoration brought into Britsport for a bit of freshening, mainly engine and engine compartment details, minor upholstery repairs, gauge rebuilding as well as a deserved major service of all systems. We will also correct several errors of detail missed by the previous restorer. This is a very nice, number matching MC roadster. This entry was posted on Friday, March 23rd, 2012 at 5:32 pm	and is filed under Britsport, Past Projects. You can follow any responses to this entry through the RSS 2.0 feed. Both comments and pings are currently closed. 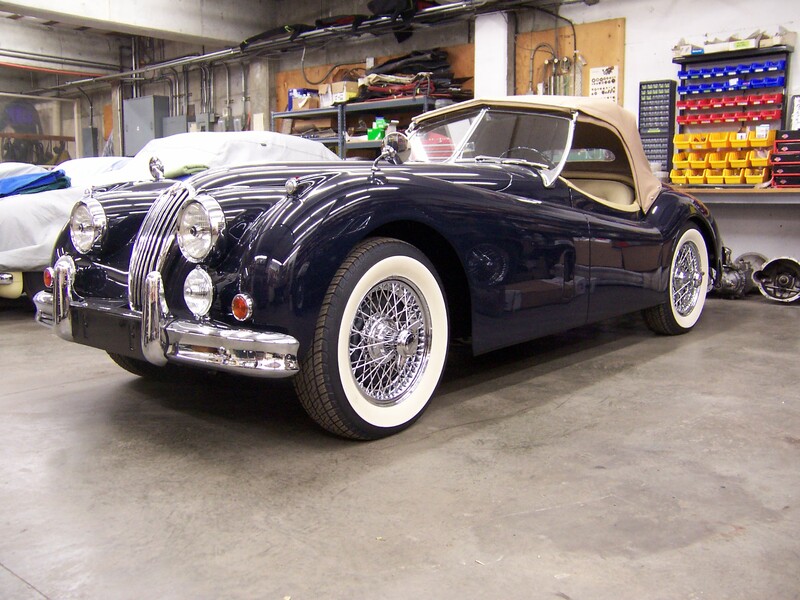 If this XK140MC available. If so would you send me additional photos of the engine, interior and chassis. Also, how much do you need for this car? I am a serious buyer and not a tire kicker.